Today starts with a short journey off Track to the Three Ways Tavern. I had planned to drop in for breakfast before continuing on to Mt Cooke Campsite. I arrive just on 7:00am and am informed they can’t do a cooked breakfast until the cook arrives but they can’t tell me when the will arrive. So after a short wait I have a hot chocolate and some toasted Banana Bread and leave the cafe just after 7:30am. I had been looking forward to the cooked breakfast after hearing how good it was from other hikers but wasn’t willing to wait for an unspecified amount of time. I head back to Gringer and then off to Nerang Hut. The terrain to Nerrang is very flat and I get there in 4 hours as I’m moving pretty quickly this morning – the sun is out and there is 0% chance of rain; hooray! Today is Sunday and it’s busy on the track. Over the last four weeks I’ve forgotten what a weekend means and that people actually do things on the weekend. All up I come accross 18 people today, my busiest day yet. Of those hikers 11 are doing a weekend hike, three are climbing Mount Cooke as a day walk, and the remainder are hiking the Bibbulmun. One of the hikers I meet just before Nerang tells me that ‘Mt Cooke tore him a new one’ and up until he did thatmclimb he had planned on doing annend to end but was now doing a section hike! I start to worry how difficult the climb will be and get diferent answers from the next two hikers I meet. Mount Cooke finally comes into view and its half the height of my local mountain I climb four times a week and spent the last two months pack training with a full pack. It’s by no means the hardest climb I’ve had on this trip and I only stop once for a drink of water. I realise the comments about this climb had come from someone only a week into his trip. After four weeks on this hike my fitness is the best it’s been in years and my perspective on what’s difficult is very different to those just starting out. But I wouldn’t want to do this climb in the rain and walk over the large rock shelf near the summit as it would be very slippery. The views from the summit aren’t great, in fact they are better from the lower peak. 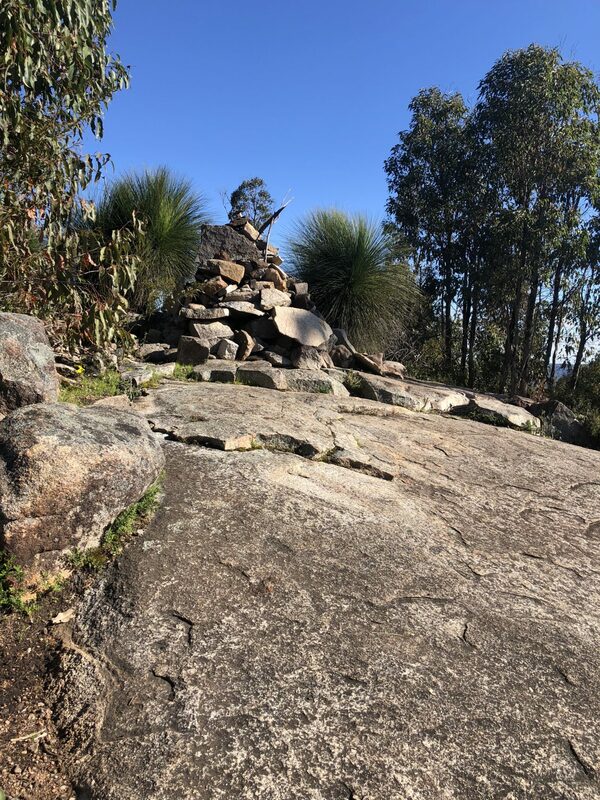 The only real indication you are at the summit is the rock cairn shown in this post. The journey down the hill is slow as I test my footing as I go just to be on the safe side; my knees don’t like downhills. 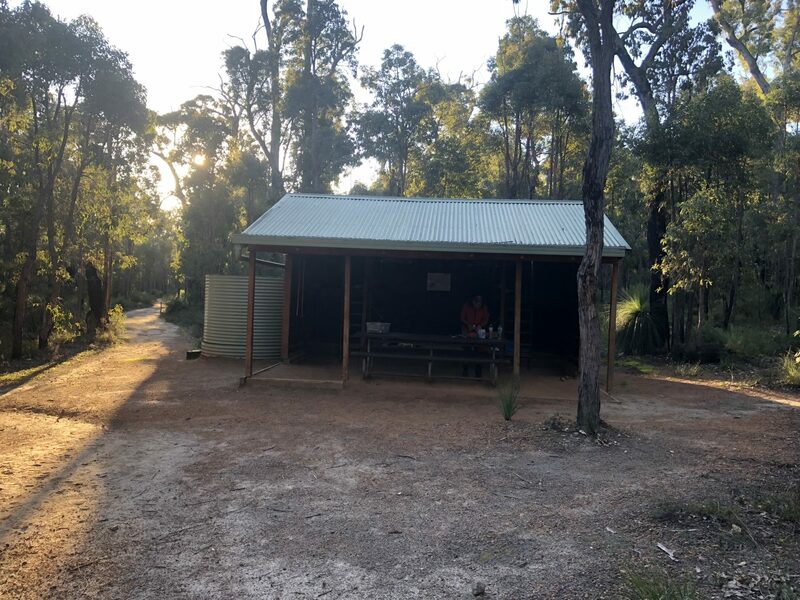 I arrive into the Mount Cooke campsite around 4:15pm and there is one other hiker there for the night which is now a rarity as I’m expecting reasonably packed huts on the remainder of my nights. I spend a few hours talking to Rick before heading to bed for a sleep around 9:15pm which is a late night for me. I still working on how to pick up half a day over the next three days but will play it by ear. Tomorrow is an option but given its 100% chance of rain I may leave it until the next day with the forecast looking better.